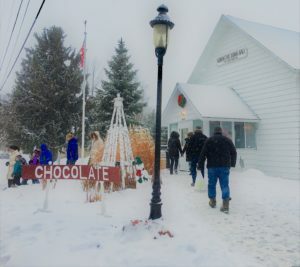 The Gibraltar Historical Association (GHA) is back with All Things Chocolate, a tantalizing way to fundraise for the 2019 season. Visit the Old Town Hall in Fish Creek Feb. 2, 10 am – 4 pm, during Winter Festival. Chocolate-covered Oreos, pretzels and cherries, plus French silk pie, chocolate cheesecake and chocolate-cherry cake are a few of the chocolatey choices to savor. Eat a piece of cake, gather a delightful dish of truffles or take a loaf of double-chocolate zucchini bread to go. 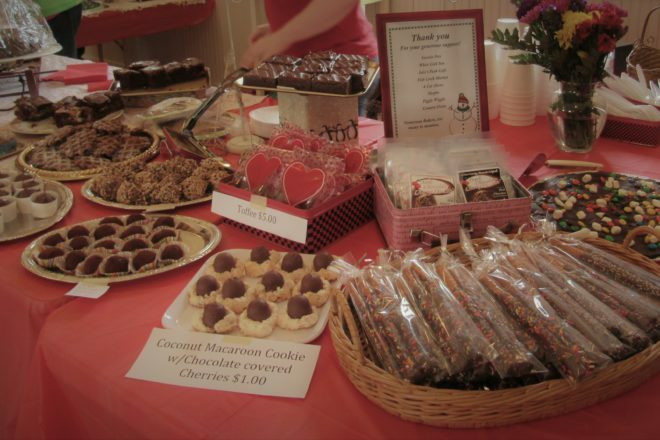 Shop early for Valentine’s Day, or impress your friends by taking some treats to a Super Bowl party. GHA will also serve hot cocoa and coffee. While warming up, look at some old-time photos of Fish Creek. Arrive early for the best selection at All Things Chocolate. GHA is a nonprofit established to collect research and preserve objects and archival materials that directly reflect or illustrate Gibraltar Township’s history. GHA’s goal is to pass on history from one generation to the next and to educate Gibraltar residents and visitors. For more information or to become a member, email [email protected], call 920.868.2091 or visit historicnoble.org.